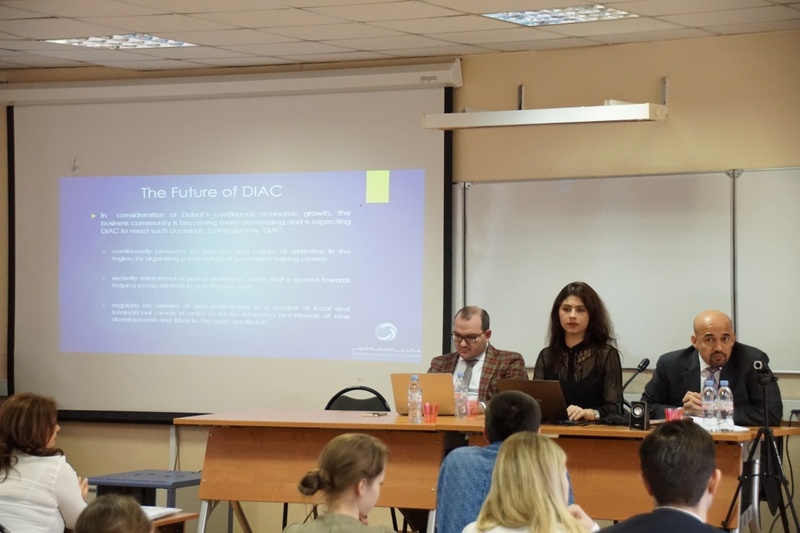 Review of the RAA25 and Higher School of Economics Joint Seminar: "DIAC, LCIA and ICC": different approaches to dispute settlement"
22 апреля 2015 года РАА25 совместно с национальным исследовательским университетом Высшая школа Экономики был проведен семинар на тему "DIAC, LCIA и ICC: существующие подходы к разрешению споров". Заметка подготовлена студентами Высшей школы экономики совместно с Организационным комитетом РАА25. 3. Степан Гузей (партнер, Lidings, Москва). Мероприятие проводилось на английском языке. РАА25 выражает благодарность руководству Высшей школы экономики за сотрудничество в организации и проведении мероприятия. 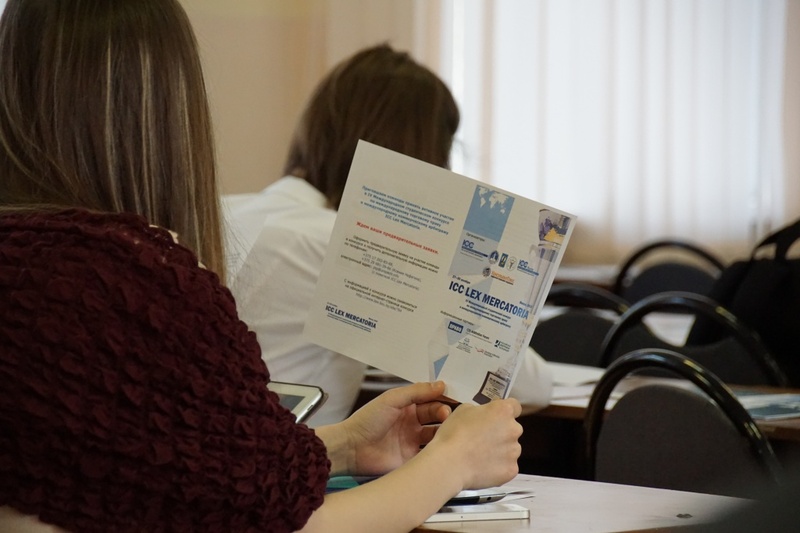 RAA25 is a youth organization which has been established in the middle of the last year and is aimed to promote arbitration among students and young specialists. RAA25 has four main areas of activity: international arbitration mootcourts, study tours, career opportunities and round tables. The LCIA is a leading international arbitration institution administering disputes from all over the world regardless of location and under any legal system of law. Its international offices are located in Dubai, India, Mauritius and Seoul, yet the proceedings can take place elsewhere. The structure of the LCIA is three-fold: the Court, the Secretariat and the Company. The Secretariat, which is headed by Registrar Sarah Lancaster, is responsible for the day-to-day administration of all disputes. The LCIA Court is the final authority for proper application of the LCIA Rules: it appoints the tribunal, decides challenges made to arbitrators and determines the costs of arbitration. The President of the LCIA Court is William W. Park, Professor of Law at Boston University. · Are emergency interim measures available? · What is the time for rendering the award? · Only brief summary of the claim is required. · The LCIA Rules encourage the Tribunal and the Parties to make contact no later than 21 days from receipt of notification of formation of the Tribunal. · The parties nominate the arbitrators and the LCIA Court appoints the Tribunal. · Parties can at any time prior to formation of the Tribunal request the LCIA Court to appoint the Emergency Arbitrator who may grant necessary emergency relief. Such decision shall be made within 14 days of the appointment. · The LCIA Rules allow the parties to reserve this right to seek such relief from national courts. · No scrutiny of the Arbitral Award, unlike in the ICC arbitration. Dubai has made an extensive economic progress over the last few years, which has led to the establishment of the truly international business community based in Dubai. · It has established several arbitration institutions including the Dubai International Arbitration Centre, the Abu Dhabi International Arbitration and Conciliation Centre etc. · The DIAC has 2000 cases, which volume amounts to several billion dollars and 70% of which is international. ICC has created the structure which has well-established representation all over the world. In 2012 new revision of the ICC Rules entered into force/. The ICC Rules 2012 are now considered as the most developed Rules among existing arbitration institutions as the Rules cover various aspects of arbitration proceedings, which have been previously missing and, in fact, are still missing in the Rules of the other arbitration institutions. The ICC Rules are very formal: the ICC is said to be the only body that is competent to administer cases. Furthermore, both Secretariat and the Court are truly involved in the decision-making process during the arbitration proceedings, in the correction of the arbitral award and in the encouragement of the arbitrators to act in accordance with the Rules. The aforesaid formality is mostly determined by the French legal system that is proarbitral and that quietly differs from all other European and common law systems . ICC Rules provide the option of granting the interim measures. ICC arbitration is the most expensive arbitration in the world. There is also a possibility to choose the place of the proceedings, which is an essential feature of the international proceedings with the complicated burden of jurisdiction choice. It is quite crucial to mention that arbitrators' appointment and control over their actions are subject to very serious attention of the Secretariat and the ICC International Arbitration Court. If the case is considered by three arbitrators, parties are free to nominate their own candidates, yet the President of the Tribunal is more likely to be appointed by the ICC International Arbitration Court, being a national of the third country which is not a party to these proceedings. Under the ICC Rules the arbitral award is passed by the unanimous vote of the Tribunal, however, if there is any discrepancy, the President of the Tribunal will take the decision by himself. This is why it is crucial to examine rigorously the biography, academic views and experience of the arbitrators before proposing the arbitrator for nomination in the arbitration proceedings.